Femininity is a lady's most attractive accessory. 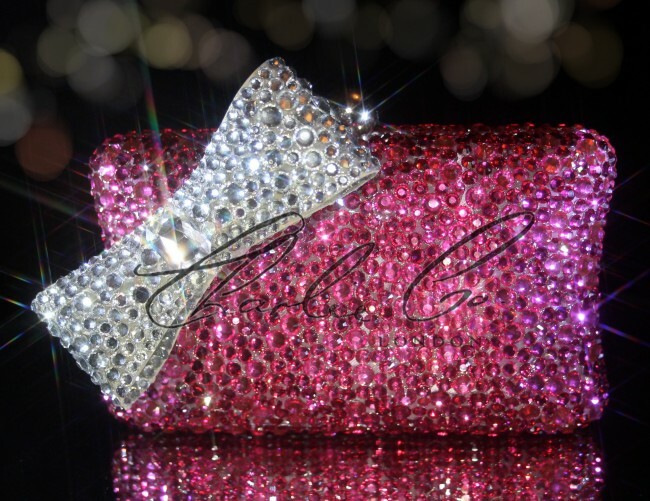 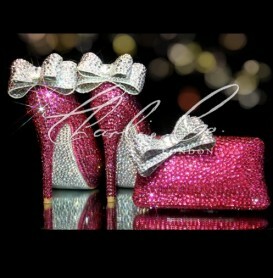 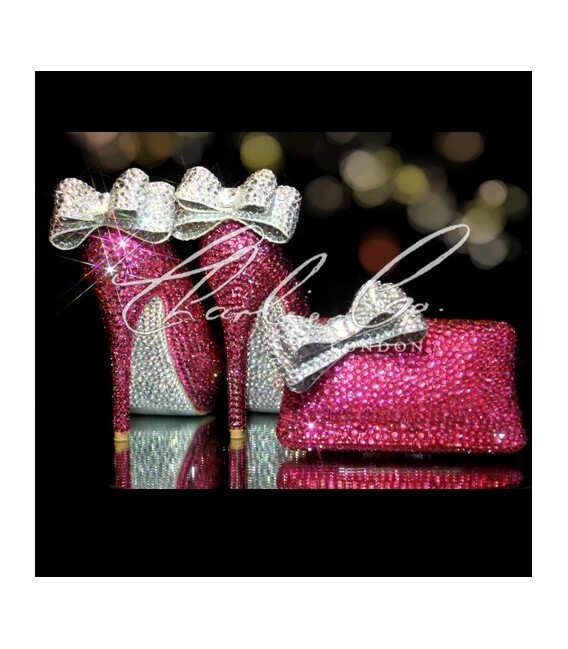 The pretty in pink set is a complete shoe and clutch purse set that is designed for glamor and style. 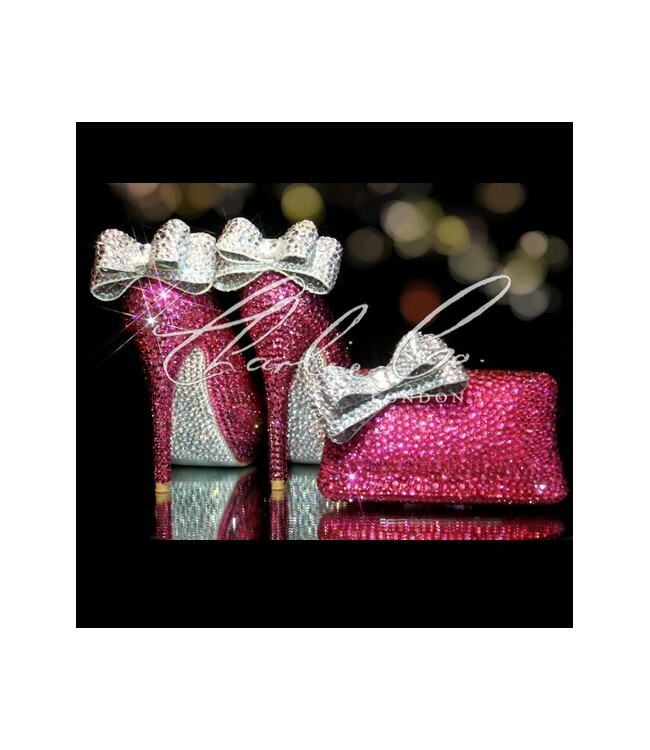 The set's main color is pink which is perfectly broken down by clear crystal bows at the back of the heel and at the top corner of the purse. The shoes bear a platform design which is meant to facilitate comfort. 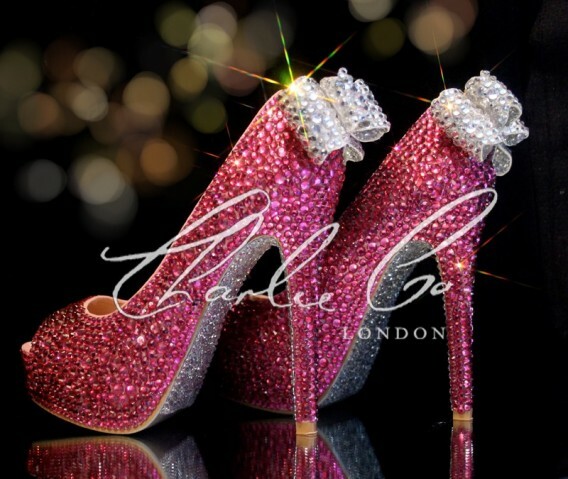 The glass crystals flow all through even to the sole of the shoe. 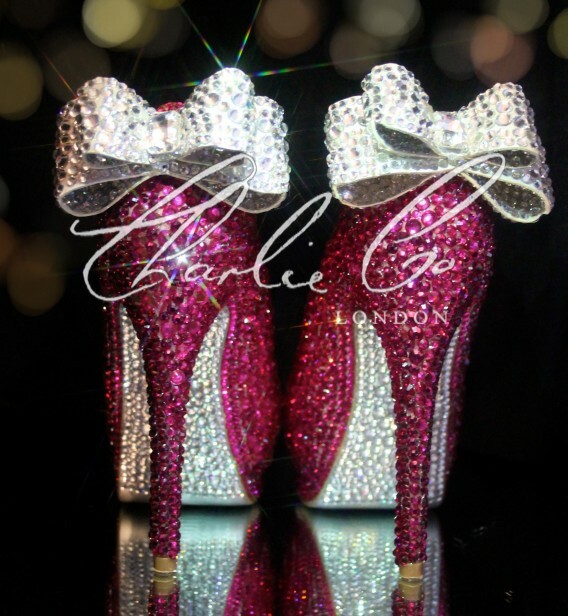 The stylish peep toe design on the shoes enables proper aeration of the feet.